I’d never seen this video before, but thanks to Reddit, I was introduced to it today, and to be honest, I didn’t know which way it was going to go before the eventual KO. The big hairy fella is British bare knuckle champ Joe Savage. 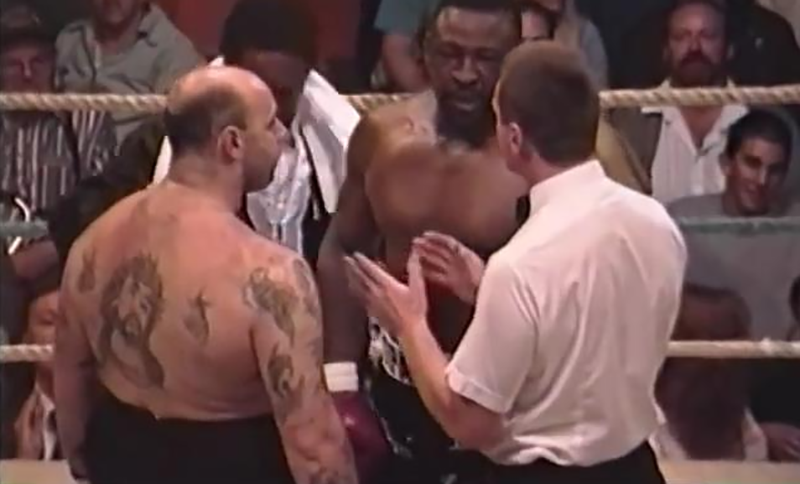 The story goes that he challenged pretty much every pro boxer in the game back in the day to fight him, including Mike Tyson and Lennox Lewis – who all unsurprisingly turned him down. Except for one. Smokin’ Bert Cooper. He was definitely game. The pair finally met, and the resulting fight produced an absolute peach of a knockout. But which way did it go?